The last book ok Katie Scott is a real pleasure for the eyes. The images are full of colors and magical green atmosphere and lead you to focus on the details. It starts with the smallest algae up to the world’s biggest waterlily; it goes through palms, graminacee, orchids and succulents. In short it is a wonderful botanical knowledge guide that can’t be missed in your bookcase. You literally get into “seven halls” which contains texts, images, common and scientific names, plants’ details and a brief description. 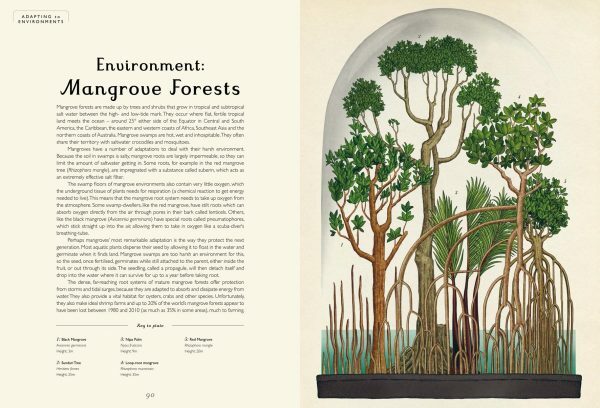 Each section ends with a short explanation about their habitat and all plants are well described and illustrated in a suggestive glass bell jar. It is a real museum on paper that allows you to walk among plants of all kinds. A perfect mix of elegant illustrations and scientific informations. A journey for both children and adults into the charming world of plants. 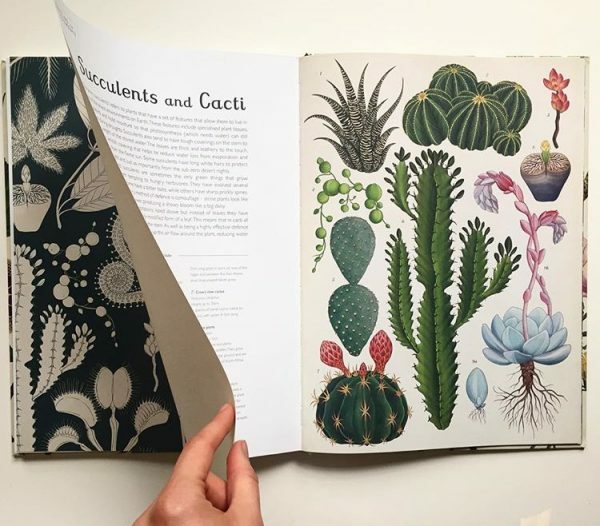 Colors, shapes and details bring to each page a surprise, each plant as a world to be imagined and discovered.